Are you getting the most out of your Microsoft Dynamics CRM? Maybe your wish list sounds something like this? 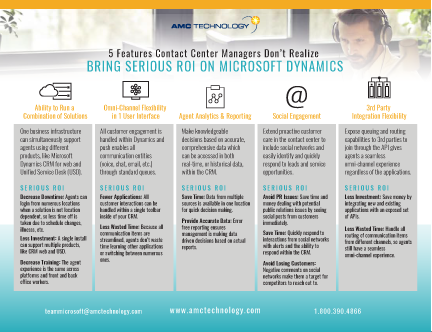 Check out this cheat sheet, “Five Features Contact Center Managers Don’t Realize Bring Serious ROI on Microsoft Dynamics” to find out more about these features that are available.